Shochu'sday 2017 - Kampai! : Kampai! Shochu’sday was a big success in 2016 with more than 500 guests attending approximately 30 happy hours in NYC, DC, Seattle, Boston, and Kumamoto, Japan. Thanks so much for your support and enthusiasm for shochu in the US (and for an American bartender at a Japanese shochu bar)! We finished 2016 with our biggest turnout ever with 42 guests attending our return to SakaMai for the first time in a year. For 2017, we’re going to slow down and do 12 themed shochu events – approximately one each month, but each more focused on a specific style, service method, or region of Kyushu or Okinawa. Generally, these will take place on the 3rd Tuesday of the month, but the schedule will vary slightly as necessary. As of now, this is our proposed schedule with chosen locations (if they’ve been decided yet). Note: In April, May, October, and November there will be 2 Shochu’sdays on the same day, but in different countries. Stephen will be in Japan doing his thing there and guest bartenders will be hosting in NYC. Tuesday, January 17: Oyuwari Shochu’sday @ Uminoie (86 East 3rd Street, between 1st and 2nd Avenue, East Village, NYC) 7-9pm. We will focus on oyuwari service with shochu mixed with hot water for a warming winter tipple. Stephen Lyman will be giving oyuwari service demonstrations to interested guests throughout the evening so you can see how to make your own at home. Tuesday, February 21: Maewari Shochu’sday @ 1 or 8 (66 South Second Street, Williamsburg, Brooklyn) 6-8pm. We will explore the interesting world of maewari service, which is shochu mixed with water 1 day to 2 weeks before service to allow time for the shochu to evolve in both flavor and aroma. Stephen Lyman & 1 or 8 owner Shinji Mizutani will prepare several maewari shochu for guests to enjoy either warmed or over a large cube. Tuesday, March 21: Kokuto Shochu’sday @ Sake Bar Hagi 46 (358 West 46th Street, Theater District, Manhattan) 6-8pm. We visit the Amami Islands in Kagoshima Prefecture, trying black sugar shochus that are specific to that region. 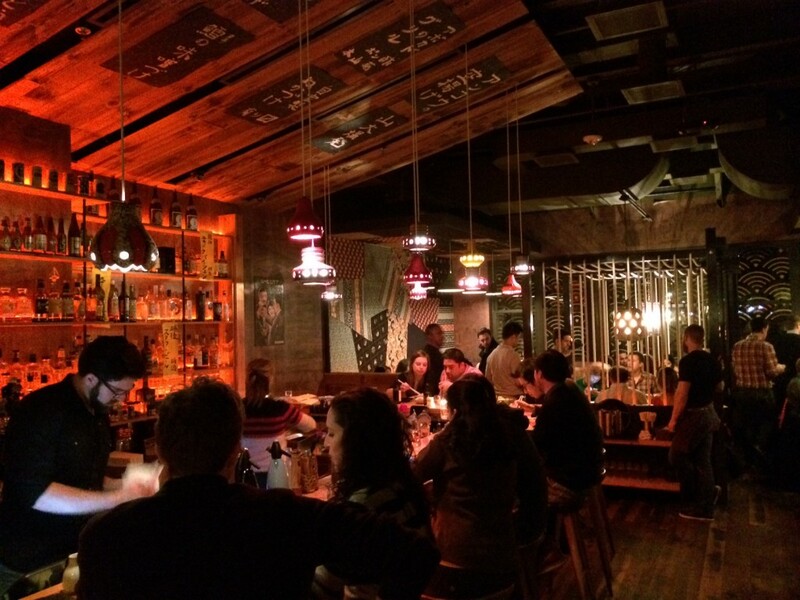 Tuesday, April 18 (NYC): Chu-Hai Shochu’sday @ TBD. 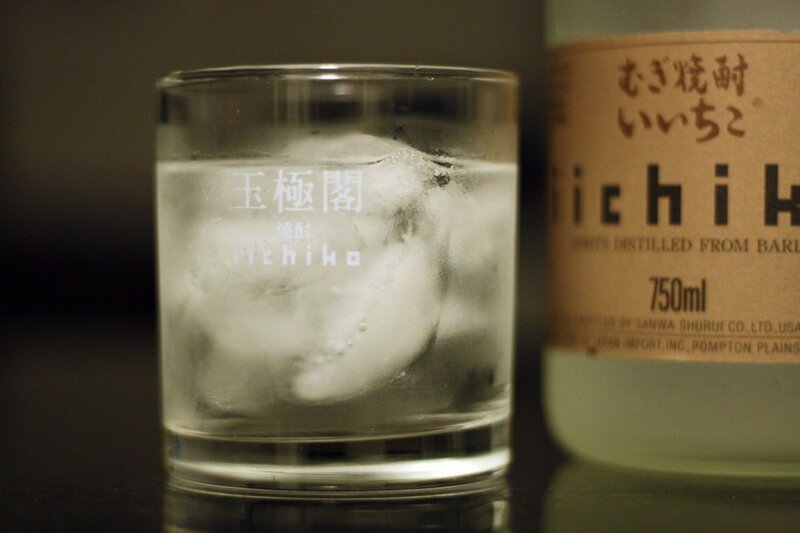 Taeko Ichioka from Mizu Shochu will be serving delicious Chu-Hai’s (Shochu Highballs) at a location TBD. Tuesday, April 23 (JAPAN): Absolutely No Japanese Shochu’sday @ Glocal Bar Imo Vibes (Kumamoto-shi) 7-9pm. Stephen will be doing his annual guest bartending at Imo Vibes, serving Kumamoto Shochu to local customers. An additional rule is that anyone caught speaking Japanese has to pay 100 yen to a charity for Kumamoto kids learning English. Tuesday, May 16 (NYC): Satsuma Shochu’sday @ Shimizu Shochu Bar. Aaron Neal, former editor of Shochu Circle, and current owner of Yakitori by Neal, will be hosting Shochu’sday in May. He’ll be pouring sweet potato shochu from Kagoshima at the hidden shochu bar, Shimizu, in Hell’s Kitchen. Tuesday, June 20: Mugi Shochu’sday @ Donburiya (253 West 55th Street, Hell’s Kitchen, Manhattan) 6-8pm. Stephen will be introducing barley (mugi) shochu from the 2 most popular regions for the drink: 100% barley shochu from Oita Prefecture & the more traditional 2/3rds barley (1/3rd rice) shochu from Nagasaki’s Iki Island. Monday, July 17: Kannoko Shochu’sday @ Ippudo Westside (321 West 51st Street, Hell’s Kitchen, Manhatan) 6-9pm. Come out and enjoy Kannoko barrel aged barley shochu with watermelon cocktails. $8 on the rocks or $10 for a cocktail. Meet the makers! Tuesday, August 22: Shochu-Soda Shochu’sday @ Juban (207 10th Avenue, Chelsea, Manhattan) 6-8pm. It’s hot and humid in August in NYC. Come out for a recently popular style of shochu – shochu with soda. Refreshing and bright. Tuesday, September 19: Awamori’sday @ Samurai Mama (205 Grand Street, Williamsburg, Brooklyn) 6-8pm. We’ll be tasting through 4 different Awamori to understand this ancient Okinawan spirit with a different tradition from Japanese shochu. Tuesday, October 17: Mugi Shochu’sday @ (207 10th Avenue, Chelsea, Manhattan) 6-8pm. Join us as we contrast Oita and Nagasaki (Iki Island) barley shochu. Tuesday, November 1: Shochu’sday @ Wasan (440 Bergen Street, Brooklyn) November 1st is Shochu Day in Japan. Come out and celebrate with us as we try some classic shochu styles. Wedneday, December 13: A Highball Shochu’sday. @ Bar Moga (128 Houston Street, Greenwich Village) 6-8pm. Hosted by Taeko Ichioka with highballs created by amazing bartender Frank Cisneros. Stay tuned for the 2018 Schedule coming soon!